The company extensively absorbs the world latest research results to develop an advanced electric-magnetic core technology, enjoying the innovation superiority in the same line of business. The company is a state key hi-tech enterprise with dozens of state patents of inventions and practical new models. It has won many provincial and municipal level awards for scientific progress with its product performance reaching the domestically or internationally advanced standards. Adhering to the principle of "reciprocation and determination", the company firmly implements the GB/T19001-ISO9001: 2000 international quality system and carries out full-range control on the manufacturing and development of 30 series and 200-plus varieties of products. The products of the company, featuring excellent performance, reliable quality and good technical services, enjoy high reputation among customers and play a leading role on the market. 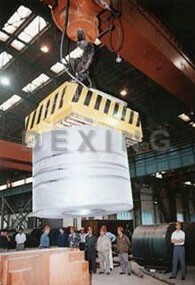 Based on its fine qualification, solid technical strength, reliable product quality and excellent after-sale services, the company is striving to become a world first-class magnetic separation equipment manufacturer in 3 years in light of the purpose of "benefiting the world ",the principle of "reciprocation and determination" as well as the goal of "invigorating the national industry and cultivating world-class brand. 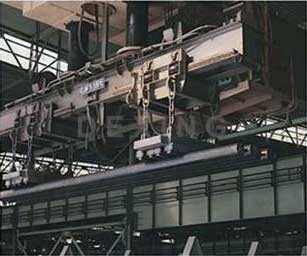 Applied to lift and transport magnet-conductive materials, such as steels, steels and irons in metallurgy industry mining industry, machinery industry, communication and transportation industry, etc. Used in electromagnetic manipulator to hold magnet-conductive materials as steels and irons. Adopt totally sealing structure with good property of moisture-proofing. 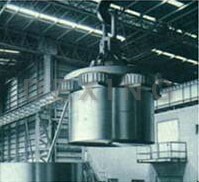 Designed by computer, it features reasonable structure, light dead-weight, strong attraction force and low energy consumption. The energizing coils are processed by special technology to improve the electrical property and mechanical property of the energizing coils. 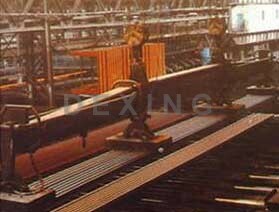 Heat-resistant grade of insulating material reaches grade C with long service life. Rated power-on sustaining rate of normal type electromagnet is increased from 50% in the past to 60%, which improves the efficiency of the electromagnet. High temperature type electromagnet adopts unique method of heat-protection, the temperature of the attached materials is increased from 600? in the past to 700?, which expands application range of the electromagnet. Simple and convenient installation, operation and maintenance. If temperature of the attached material is below 100?, please choose normal temperature type. If it is above 100?, please choose high temperature type. When power-on sustaining rate is above 60%, please choose high frequency type. When lifting and transporting materials in water, please choose diving type(depth of diving 100m). The technical date of diving type electromagnet is same as that of normal temperature type, so it is not listed in catalogue. If customers need diving type, please state clearly when ordering. Environment temperature: normal temperature type -50?~40?, high temperature type -5?~80?. Height above sea level is no more than 2,000m. Corollary equipment: when using single unit, choose commutation control equipment and its accessory equipment according to consumed power (current); when using combination of several units, choose according to the sum of the consumed power (current) of the combined units. 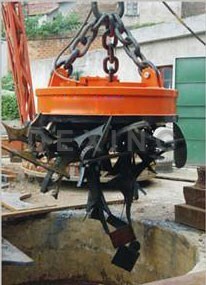 Customizing the lifting equipment per the special requirement also will be welcomed.